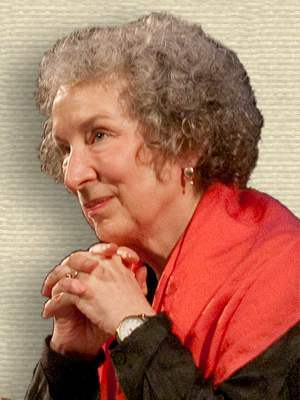 Canadian novelist, poet and environmentalist whose books include The Handmaid’s Tale and The Blind Assassin. 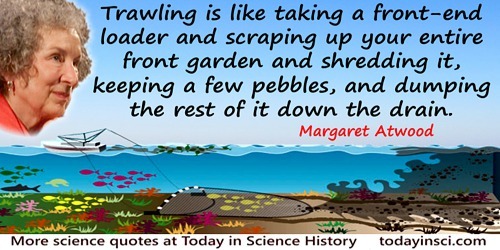 Overfishing—really easy to do with megaships equipped with sonar for fast fish finding—and the eventual result is no fish. 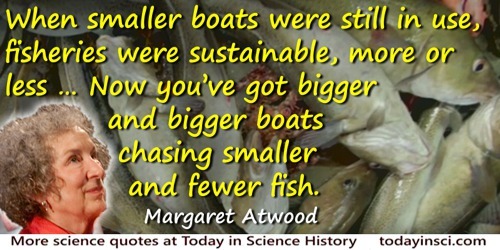 When smaller boats were still in use, fisheries were sustainable, more or less. But in the past forty years, hyper-efficient hi-tech practices have put paid to a third of the productive ocean. … Now you've got bigger and bigger boats chasing smaller and fewer fish.